Published on July 13, 2017 July 13, 2017 Categories UncategorizedTags alpha-gal, Alpha-Gal allergy syndrome, Lone Star tick, red meat allergyLeave a comment on Red Meat Allergies From A Tick Bite? Lyme disease makes the headlines but there are plenty of additional reasons to avoid tick bites. New research highlights the latest in a growing list of tick-borne threats—a distant relative of Lyme that's easy to confuse with other illnesses.Monday's study suggests a kind of bacteria with an unwieldy name—Borrelia miyamotoi—should be on the radar when people in Lyme-endemic areas get otherwise unexplained summertime fevers. It's one of several recently discovered diseases linked to ticks in different parts of the country, a reminder to get tick-savvy no matter where you live. The first U.S. case was reported in 2013 in New Jersey, an 80-year-old cancer survivor who over four months became increasingly confused, had difficulty walking and lost 30 pounds. Doctors found spiral-shaped bacteria in her spinal fluid that looked like Lyme but caused a relapsing fever more closely related to some other tick-borne illnesses. While treatable by antibiotics—the woman recovered—doctors know little about B. miyamotoi. Researchers with Imugen Inc., a Massachusetts testing lab, tested blood samples from patients in Massachusetts, Rhode Island, New Jersey and New York whose doctors suspected tick-borne illnesses and used that lab. 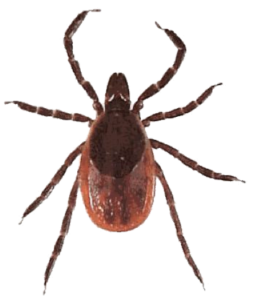 During the 2013 and 2014 tick seasons the lab found 97 cases of the new infection. That's roughly 1 percent of samples tested and close to the lab's detection of a better-known tick disease named anaplasmosis. ...Researchers then analyzed medical records from 51 of those patients, and found symptoms typically include a high fever, severe headache, chills and blood abnormalities—decreases in infection-fighting and blood-clotting cells. The bacterium is carried by deer ticks, also known as blacklegged ticks, which also can spread Lyme and two other illnesses, babesiosis and anaplasmosis. 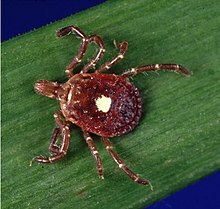 Two new tick-borne viruses were recently discovered in the Midwest, and neither has a specific treatment.The Centers for Disease Control and Prevention has confirmed nine cases of Heartland virus, and one death, with other reports under investigation, said CDC entomologist Roger Nasci. Symptoms include fever, fatigue, headaches, muscle aches, diarrhea and low blood counts. Identified in Missouri, the virus also was reported in Tennessee and Oklahoma, although the Lone Star tick that spreads it lives around the East and Southeast. Then there's the Bourbon virus, with similar symptoms, discovered last year after the death of a Kansas man and named for his home county. Another patient, in Oklahoma, recovered. The Kansas man had found an embedded tick days before getting sick, and CDC researchers are searching for the culprit species. 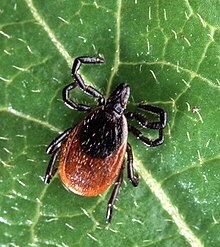 The CDC counts 14 illnesses linked to specific U.S. tick species, not including the Bourbon virus still being studied. Lyme is the most common, with about 30,000 cases reported each year, although CDC has estimated that the true number could be 10 times higher. It's too early to know how widespread the newly discovered illnesses are. But people can be infected with more than one tick-borne illness simultaneously, complicating care.